The 2015 Fulbright Scholar Showcase and Presentation Dinner Event garnered significant media attention from local and national news outlets for our Scholars and the Commission. During the three days in Perth there were reporters conducting interviews with the Scholars, requests for images and quotes, and live radio interviews. 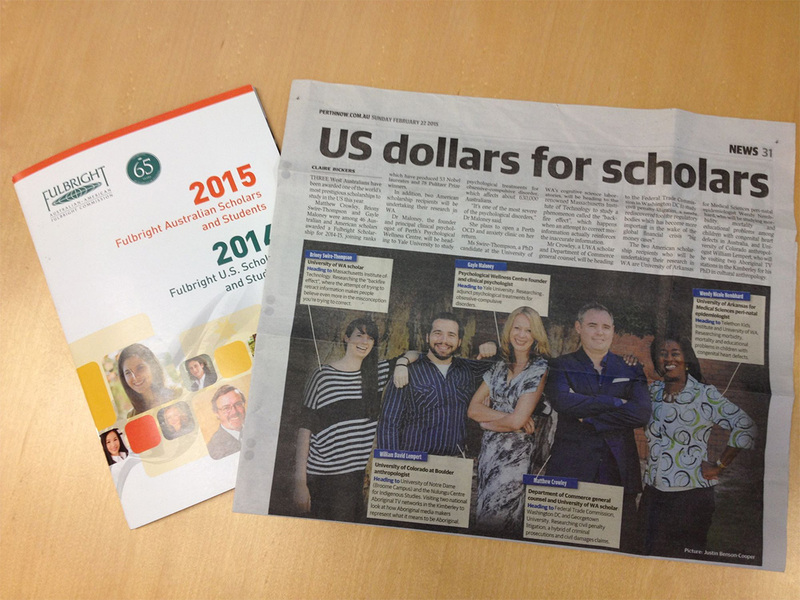 See below for just a few examples of Fulbright Scholars in the media spotlight.